As more research is completed, scientists realize just how interconnected different parts of the human body are–especially the eyes. One of the biggest indicators of just how integrated the eyes really are is the “King-Devick” test. This test was designed to help doctors better identify if someone has suffered a concussion and has revolutionized concussion diagnoses. But simple eye tests aren’t just identifying brain trauma–now they’re diagnosing certain mental illnesses. A new simple eye test can identify schizophrenia. According to a Scottish study, scientists have developed a simple eye test that is 98 percent accurate in “distinguishing between those with and without schizophrenia.” The reason the test is so effective is that schizophrenics often have impaired eye movement that makes it difficult for them to smoothly track slow moving objects or keep a steady gaze for an extended period of time. Dr. Benson said that individuals with psychotic illnesses have been known to have various abnormalities in their eye movements, but until this study, it was never confirmed. “In smooth pursuit, people with schizophrenia have well-documented deficits in the ability to track slow-moving objects smoothly with their eyes. Their eye movements tend to fall behind the moving object and then catch up with the moving object using rapid eye movements,” Dr. Benson said. In ensure their tests were accurate, the two said they used multiple methods to model the data and each of the algorithms created were tested against those developed from tests on a control group. After combining all the data, they were able to see that their tests were 98 percent effective in diagnosing schizophrenia. Professor St. Clair said that the biggest benefit of this development is that these eye tests are simple, cheap and only take a few minutes to conduct in comparison to the typical neuropsychological assessments that are not only time-consuming, but also have to be performed by a highly-trained professional. There’s no telling what other connections between the eyes and the rest of the body will be discovered in the future, but I can tell you that this is an exciting time to be in the field of optometry. Eye or vision problems are much more common than some people realize. In fact, regardless of their vision, most people suffer from some kind of eye-related ailment at one point or another in their lives. But what exactly are these common problems? Did you know that your eyes can only see when light rays are bent? That’s how the eyes perceive the world around them. Light passes through the cornea and lens and then is focused on the retina; light is being bent during this entire process, which is what refraction is. But sometimes the eyes have trouble bending the light correctly which can often result in myopia or hyperopia. Also known as nearsightedness and farsightedness respectively, these are two conditions that can be easily fixed with the help of corrective lenses and laser eye surgery. 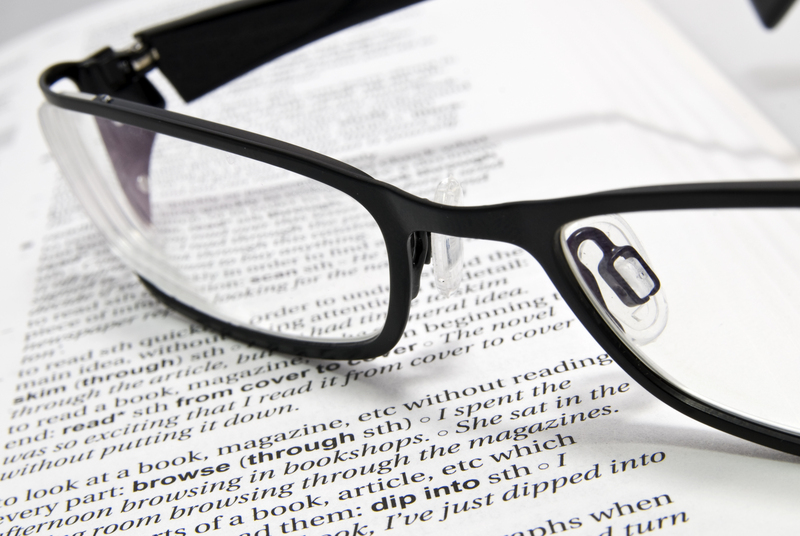 Astigmatism is another condition that can occur when the eyes don’t refract light correctly. When someone suffers from this condition, their eyes don’t focus light evenly on the retina, which can make objects blurry or otherwise distorted. Like near-and-farsightedness, this problem can be fixed with glasses. There are many factors that come into play with respect to eye twitching. Unlike refraction problems, which are mostly genetic, eye twitching is usually caused by environmental conditions. The most likely culprits of this are stress, caffeine and fatigue. And while most people can’t completely avoid the stress and fatigue that come with our daily lives, we can avoid ingesting too much caffeine. Reducing the amount coffee, pop or energy drinks you regularly consume is one of the easiest ways to limit eye twitching. Just like eye twitching, fatigue can also be caused by outside forces. I’ve written about it before, but one of the best ways to avoid eye fatigue or eyestrain is to limit how long you stare at a computer screen at one time. Prolonged exposure to the light emitted by computer screens makes your eyes work harder than they should, which leads to fatigue. This is also known as computer vision syndrome. Eye fatigue can also be caused by the refraction problems previously mentioned. The best thing about all of these problems is that they can either be completely cured and/or treated. If you’re suffering from any of the above, please don’t hesitate to contact me online or call the SEEN Vision office at (313)278-SEEN to schedule an eye exam. Don’t Put Off That Eye Exam! It’s said that when we’re in difficult economic times that two of the things people start to put off are visits to the dentist and visits to the eye doctor. This may seem like the thing to do at the time, but without healthy teeth, you open yourself up to a huge number of potential problems. The same with your eyes. Not only do you need your eyes to drive to work, but you need them to be healthy for the daily rigors of your job and home life. How can you expect yourself to fill out or read important documents when you have a hard time seeing them? And if you have children, have you ever not been able to get out of checking their homework? Find out how SEEN can help you! And if you have seen an optometrist, only he or she isn’t able to get your vision back to 20/20 with glasses, then you may need to have your eyes checked out for an eye disease. That’s hopefully not going to be the case. Let’s not forget that you may also want to find out if contacts are the right solution for you. We can help. No matter what, it’s important you have a yearly eye exam in order to prevent things from getting any worse. At SEEN Vision Care, Dr. Baseem Wahab will give you a complete optical workup and then help you find that perfect pair of glasses. We have lenses, lenses and even more lenses, plus we believe in the old age of quality over quantity. This means you’ll get a terrific pair of glasses and not at an inflated price. Contact SEEN Vision Care today and schedule your appointment! Have you been SEEN?